Shankar is one among the numerous names of Hindu God Shiva. Shankar means the benevolent one, the kind one. Daksha Prajapati gave Shiva this name after Siva restored his life. Virabhadra had beheaded Daksha as he was the reason for the self immolation of Sati. On hearing about Sati’s immolation at Daksha’s yajna, Shiva plucked a hair from his head and threw it down and from it appeared Virabhadra. He along with millions of Ganas of Shiva attacked the yajna of Daksha. Virabhadra finally beheaded Daksha. When Shiva appeared at Daksha’s yajna, he was filled with pity. All those that survived the carnage asked for His mercy and said they acted out of ignorance. Shiva smiled and restored back everything. Daksha’s headless body was brought to life – the head was replaced with that of a goat. Shiva also gifted the city of Bhogya to Daksha. He had created it ri indulge in pleasure with Sati. With Sati gone Shiva had no interest in Bhogya. 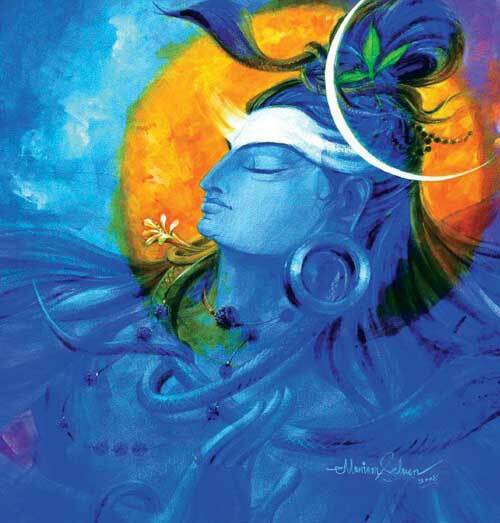 Daksha who was overwhelmed by Shiva’s generosity called him Shankar – the benevolent, the kind.